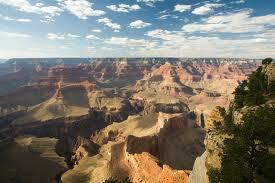 The Grand Canyon and Flagstaff are just one and a half hours away from one another. While some tourists choose to drive to and from Flagstaff and the Grand Canyon on their own, others would rather go for other modes of transportation such as tourist buses and trains. For those of you who opt to go on a train, you will arrive at your destination a lot faster, enjoy the entertainment a lot more, and take in some excellent scenery. Either way, you will come across great scenery and you should take pictures of what’s known as the Red. 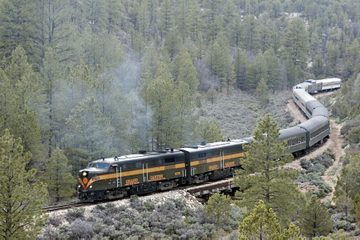 However, from my experience I have to recommend the Grand Canyon Railroad Excursion. You can take a step back into a history filled with box car entertainment, train robbers, and historic journeys. This includes certain sites and view stops that will be unique to your journey. After a stop in Sedona, you get to go through the Oak Creek Canyon that winds through 2000 feet of the red-walled canyon which emerges at the Coconino National Forest (a state-owned forest) surrounded by the ponderosa pines. The South Rim of the National Park is worth checking out too. You can take pictures here and shop and take a stroll at the rim. The Grand Canyon is a few miles away from here. Once at the Canyon you can check out the Painted Desert where you can check out Navajo craft and artwork before you go back to Flagstaff from the Grand Canyon.